Jenkins, the industry-standard continuous delivery (CD) orchestrator, has evolved. In the past, using Jenkins was all about filling in web forms and knowing the right incantations to get applications to integrate correctly to create a working pipeline. Jenkins 2 is centered around using pipelines as code and the associated programming environment. Pipelines can now be written as structured code, with a rich, descriptive DSL, and use powerful features to automate and simplify CD job chains. Moving from the traditional Jenkins model to the pipeline-as-code model represents a huge opportunity for companies to evolve their CD pipeline to new standards of consistency, security, robustness, and maintainability. However, since Jenkins 2 is still relatively new, there is very little information available on how to do so. Join Jenkins expert Brent Laster to get up and running with Jenkins 2. In this three-hour course drawn from Brent's previous Migrating Jenkins Environments to Jenkins 2 training, you'll gain hands-on experience with Jenkins 2's object model and interface as you explore its new features and learn how to create pipelines as code. You’re a Jenkins user or support person with investments in the traditional Jenkins model, and you need to understand the Jenkins 2 model. You're a developer or tester with dependencies on Jenkins processing, and you want to learn what changes you may encounter using a pipeline-as-code model and what value it can provide. 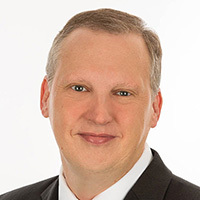 Brent Laster is a global trainer, author, and speaker on open source technologies as well as a senior R&D manager at a top technology company. He has been involved in the software industry for more than 25 years, holding various technical and management positions. Brent has always tried to make time to learn and develop both technical and leadership skills and share them with others. He believes that regardless of the topic or technology, there’s no substitute for the excitement and sense of potential that come from providing others with the knowledge they need to accomplish their goals.